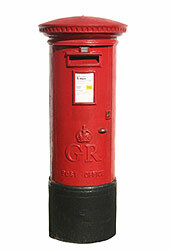 All UK parcels need to be signed for and are shipped via Royal Mail or Parcel Force with a track and trace service and therefore can only be delivered to the delivery address. Royal mail will leave a card if there is no one to accept the parcel. You have 8 working days from receipt of goods to cancel, upon which the goods must be returned in ‘New’ condition. Should you wish to cancel you must inform us via email at info@redvenom.co.uk and we will email you a returns form. All goods must be returned within 21 days from the cancellation date. 'New' means the complete unused, undamaged product in the original undamaged packaging. It is the consumer’s responsibility to pay the return costs incurred.